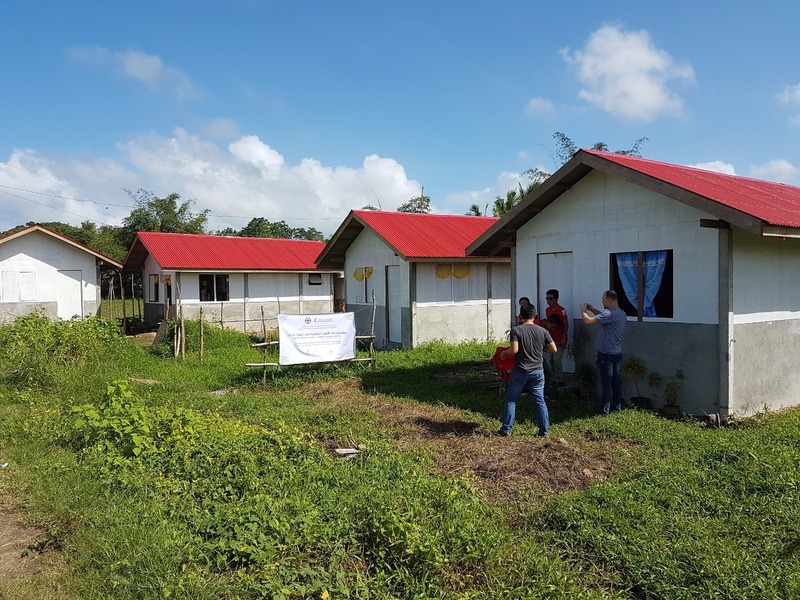 The Qatari Red Crescent has handed over 650 housing units to affected families in the city of Santafy in central Philippines, after the completion of the second phase of the integrated development program to reconstruct the areas affected by typhoon Haiyan, which hit the Philippines in 2013, with a total cost of USD 2,256,209, in cooperation with the Philippine National Association of the Red Cross. The ceremony was attended by Mr. Saad Rashid Al-Muhannadi, Chief Executive Officer of Relief and International Development Section to the Qatar Red Crescent, along with the President of the Philippine National Association of the Red Cross and many local officials in the province of Leyte, led by Governor and members of the Board of Trustees of the National Association of the Red Cross of the State of Leyte, as well as Chiefs of the Red Cross and Red Crescent in the Philippines and also all beneficiary families and members. In his speech during the ceremony, Mr. Al- Mohannadi said that the completion of the first and second phase of the development project for the reconstruction of the areas affected by typhoon Haiyan and the delivery of 1300 housing units to families affected by the typhoon, is a great achievement for the Qatari Red Crescent in partnership with the Philippine National Association of the Red Cross. He stressed that the Qatari Red Crescent is committed to global humanitarian principles and always seeks to intervene in order to provide assistance to those affected by natural disasters and wars, without favor or discrimination on religious or ethnic grounds. He also stressed that the Qatari Red Crescent will continue its humanitarian efforts to help the Filipino people in emergencies and crises, Humanity, to alleviating the suffering of those affected and ensuring their human dignity. For his part, the Governor of the Province of Leyte thanked the Qatari Red Crescent for its sincere humanitarian efforts to help the families most affected by typhoon Haiyan and to facilitate the recovery and overcome the shock, after losing homes and everything in a few minutes after the disaster. The Chairman and CEO of the Philippine National Association of the Red Cross, Senator RICHARD J. GORDON, stressed in a speech the importance of the strategic partnership between the Philippine Red Cross and the Qatari Red Crescent, and that this partnership has helped very effectively to implement many relief and development interventions in many provinces in the Philippines. He also thanked the Qatar Red Crescent for its support to the Philippine National Association of the Red Cross during the emergency and humanitarian crises hit the Philippines in recent years, and that it has always been in front in responding to the humanitarian calls of the Philippine Red Cross for emergency response to help those affected by natural calamities. He said this support is highly appreciated by the Philippine government and people. Moreover, Typhoon Haiyan, which hit the Philippines on November 8, 2013, was recorded among the most severe typhoons in Philippines, resulting in the death of more than 10,000 individuals, and displacement of nearly 660,000 person. The total number of affected people was 9.8 million in nine (9) provinces with 44 provinces and 600 municipalities. Government and civil infrastructure were also affected, resulting in severe shortages of basic services and deteriorating living conditions.